Company CEO, Sharran Srivatsaa featured on industry podcast; to speak at The Business of Real Estate Conference in Gold Coast in conjunction with wrap-up of successful beta testing of software. Gold Coast, Australia, September 03, 2018 --(PR.com)-- Kingston Lane, an innovative lead generation and marketing automation solution for real estate agents, will begin offering services in Australia and New Zealand in September after extensive and successful beta testing in both regions. Kingston Lane's unique solution to real estate marketing challenges has been proven throughout 2018 in the United States. Agents in Australia and New Zealand will be eligible to access the company's growing suite of "5-clicks or less" localized lead gen, sales, and creative campaigns. In addition to Kingston Lane's push-button lead farming, coming soon websites, and email campaigns, the company will make available its Seller Analysis Tool (SAT), which will allow agents to offer leads and clients a well-rounded perspective on how their home might perform when released to the market. The SAT will be accessed by Kingston Lane users via the software's unique "push-button" UX, allowing agents to quickly and accurately attract leads and serve clients via a clean, streamlined dashboard with an ever-growing menu of fast-to-deploy creative and strategic tools. New features, locations for geo-targeted farming, and even currency options, are made available automatically to customers upon launch. Agents will be able to create free accounts for Kingston Lane to test-drive its feature stack. 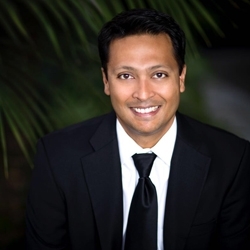 In conjunction with the product release in Australia's Gold Coast, Kingston Lane CEO Sharran Srivatsaa will present at the fifth annual The Business of Real Estate conference on Tuesday, September 4, sharing his tips and best practices in a discussion entitled, "Real Estate Reimagined – Lessons Learned from Growing Teles 10X." "This is going to be a great trip to Australia," said Srivatsaa. "I'm excited to introduce Kingston Lane to these real estate communities, ones that are smart and eager to adopt new tech, and to be a part of conference pushing so many new ideas." The presentation will highlight tactics and business realizations Srivatsaa embraced during his time growing Teles Properties, which was sold to Douglas Elliman in 2017. The real estate entrepreneur has been featured in a host of business publications during his career, including Entrepreneur, The Wall Street Journal, and Forbes. Michael Sheargold, CEO of Australia’s leading network of Independent real estate agencies, Real Estate Results Network, and Founder of DRIVE Performance, said that he’s very much looking forward to Srivatsaa’s presence at this year’s conference. "Having Sharran at the Business of Real Estate this year is incredibly exciting for the 300 delegates," he said. "For him to choose the conference as his platform to introduce the Australian and New Zealand markets to Kingston Lane is impressive. When you look at how this amazing marketing and lead generation solution has helped agents in the USA, it’s great to know our agents will soon have this advantage." Srivatsaa was a recent guest on the podcast, "Elevate," produced by Elite Agent, Australia's only independent print and digital publication covering the real estate industry. It won "Business Publication of the Year" in 2016. Episode 57 can be heard on the podcast's website. The 2018 Business of Real Estate conference is being at held at the QT Cold Coast on September 3 and 4. Real Estate Industry professionals from around the world can get free access to Kingston Lane by registering at www.kingstonlane.com. Kingston Lane is marketing software that streamlines real estate marketing efforts with the industry's only "push-button" interface for executing outreach campaigns. It is designed to minimize time dedicated to lead generation and listing exposure while maximizing their return. Customers can quickly deploy a host of stand-alone or sophisticated marketing efforts, ranging from single listing websites and hyper-local lead farming, to fully-integrated email marketing campaigns and custom brokerage websites. The company also facilities Facebook-hosted Mastermind user groups and regular Facebook Live events to share user feedback, tips, and company updates. Kingston Lane is led by CEO Sharran Srivatsaa and President Steve Olson; it was founded in 2017. Real Estate Industry professionals from around the world can get free access to Kingston Lane by registering at www.kingstonlane.com.